The writer Felice (Totò) and the photographer Pasquale (Enzo Turco) live in poverty, constantly bickering as they attempt to ply their respective arts. Their friend Eugenio, son of the Marquis Ottavio, convinces the two to accompany him and pretend they are aristocrats when he goes to ask for the hand of his beloved Gemma (Sophia Loren). 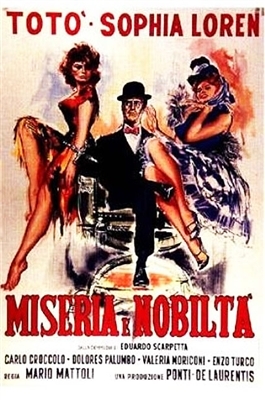 All the double crosses, mixed messages and startling coincidences are handled with exquisite comic timing, presided over by Totò as a kind of manic ringmaster. I bought 10 Sophia Loren movies from the 1950's that I could not find any where else. Not only are the movies beautiful, but they also have English subtitles, which are impossible to find with these old Italian films. You have so many more classics that I will be buying once I get through these 10 magnificent films!